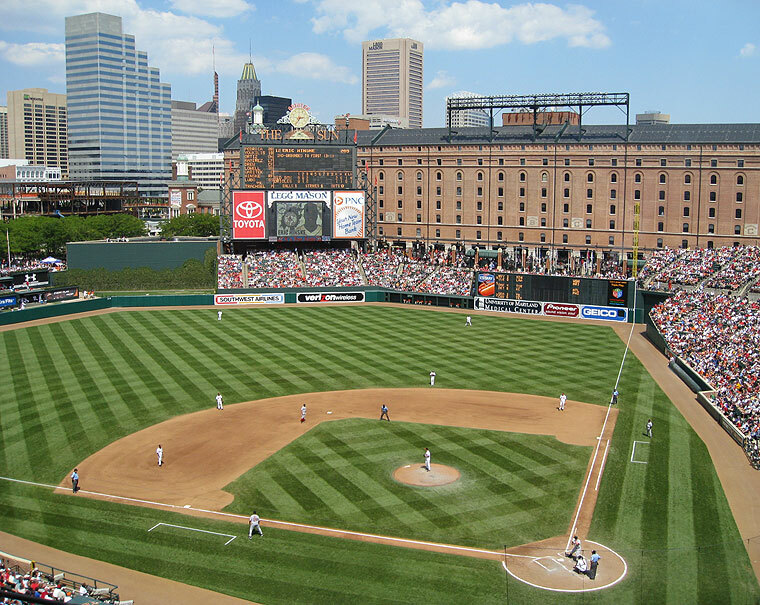 My response to an article that appeared recently in the Baltimore Sun that called into question whether Camden Yards was was a good investment for Maryland. The response that appears in the Sun is a shortened version. The full text can be found here. We live in a competitive country, states compete with their neighbors for business and cities compete with their suburbs for residents. The stakes are particularly high for cities, like Baltimore, that are trying to regain some of their lost population. The latest proposal by Mayor Stephanie Rawlings-Blake seeks to make Baltimore City , a jurisdiction that is far from a true competitor, more competitive in the region; Baltimore’s property tax rate is currently more than twice that of the counties surrounding it. The cut, which would be implemented in stages over the course of several years, could provide a tax break from a rate of 2.2% to 2.0% by 2020. This cut would save a homeowner whose house is appraised at $200,000, $400: not small change. Mayor Rawlings-Blake’s proposal is modest compared to the proposals of some, which would slash the property tax by even more. The fact is, the City cannot afford to foot the bill for extreme tax cuts but, according to some, including the City’s largest developer, they are necessary to keep the City competitive. The hope is that a lower property tax rate will encourage people to move into the City, bolstering the Mayor’s efforts to add 10,000 new families to the City. But do the ends justify the means? 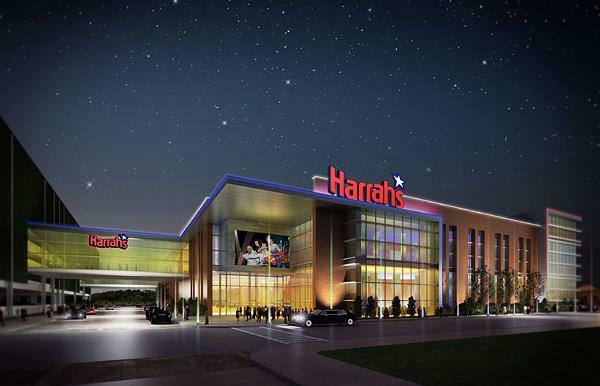 The loss in revenue due to the tax cut would have to be made up using funds drawn from the operation of a new slots parlor in Baltimore. Though Baltimore desperately needs new sources of revenue, this may not be the right source. Gambling has many opponents: family groups, religious groups and those of the opinion that gambling contributes to an increase in crime. The Mayor’s proposal does, however, include some wonderful provisions which will exempt vacant properties from any tax reductions and give preference to owner-occupied properties over rental properties. This is the right move; vacant properties cost the City money, stress its neighborhoods and inflate its crime rate. Each of Baltimore’s 16,000 vacant buildings is estimated to cost the City $1500 a year making the total spent on vacant buildings about $24 million a year – and that figure does not include vacant buildings’ effects on quality of life. As a disincentive, the Mayor’s proposal has the owners of vacant properties continuing to pay the same tax rate in addition to the costs of vacant property ownership which can include fees of up to $900 per year. Ideally, the fees, taxes and lower property tax rate for homeowners will result in fewer vacant buildings and more residents in Baltimore City. How could late night and weekend MARC service benefit Baltimore? Baltimore is home to a growing population of commuters who enjoy city life but either can’t afford or don’t care for Washington, DC. MARC train users deal with cramped cars, infrequent off-peak service and frequent delays. The lack of late night and weekend service adds to the list of frustrations and people quickly rule out Baltimore as somewhere with easy access to Washington. 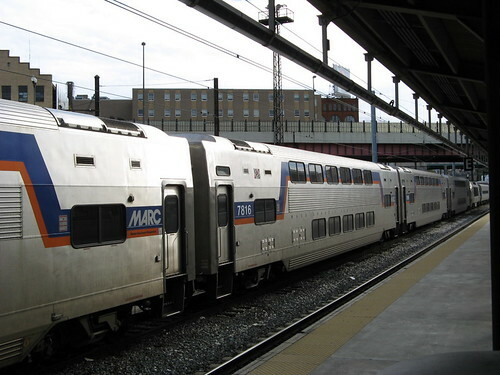 Expanded MARC train service could change that perception. In fact, the Central Maryland Transportation Alliance and with local leaders are proposing expanded service for that reason. If a 40-60 minute train ride could connect Baltimore and its suburbs to the nation’s capital at almost any time, perhaps Baltimore could more easily market itself and maybe Transit Oriented Development would be able to compete more easily with traditional development. A rendering of one of the buildings at Odenton Town Square, a Transit Oriented Development project consisting of over 1,500 residential units, 60,000 square feet of retail space and thousands of parking spaces all designed to make transit more accessible. It’s time for the MARC system to better serve Maryland’s cities and towns, especially Baltimore, and not simply cater to the Washington job market. Under the current system, Maryland’s taxpayers are footing the bill for a system designed to meet the needs of another jurisdiction. Does that mean MARC trains should not connect to Washington? Absolutely not; it simply means that MARC trains should provide as much, if not more, access to destinations in Maryland as they do to Washington. Providing night and weekend MARC service would be a step in the right direction. Expanded service would also change Washington’s relationship with Baltimore and much of central Maryland drastically. If Baltimore were accessible on nights and weekends it would become more of a destination, a place to visit, go out to eat, check out a museum and, ideally, live. The best part about expanding MARC service: it could be done without additional infrastructure making it a relatively inexpensive way to make the Baltimore region more transit accessible.